Our team of clinicians and therapists are passionate about our sports, and helping others do what they love. We use a combined approach to work with you to find a way to achieve your goals. Sarah has worked as a doctor in the NHS since 1992, specialising in women’s health and general practice. 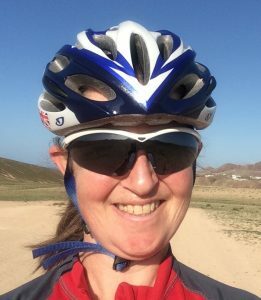 Her love of sport has provided opportunities to travel and experience competing at an international level in mountain bike orienteering. Sarah has retrained in sports therapy, and has a particular interest in running injury prevention and treatment. Sam has recently graduated with a BSc in Sports Rehabilitation from Hull University. As a result he has full membership with the British Association of Sport Rehabilitators and Trainers. He is the newest member of the team. Martyn is a former engineer, now a multi-discipline cycle coach and outdoor activity instructor. He takes a proactive approach to bike fitting and movement, having trained in both to address his own long-term issues running and on his bike.